The mantras seem to be working for her. At 45, she’s led in nearly every ultra she’s entered since the start of her competitive trail-running career, only seven years ago. She’s won the Umstead 100, Rocky Raccoon 100 (twice), Cactus Rose 100, Javelina Jundred 100 and the Leadville 100 (twice). On October 8, 2017, Howard won the USATF 50-Mile Road Championship at the Tussey Mountainback 50 in Pennsylvania. Howard didn’t grow up running. Her father was in the army and she was raised in what was then West Berlin. Her high school didn’t have a track or cross-country team, so the closest Howard came to running in her early years was sitting on her father’s sweaty shoes so he could do sit ups after a run. “I was a thin, unfit person,” says Howard. 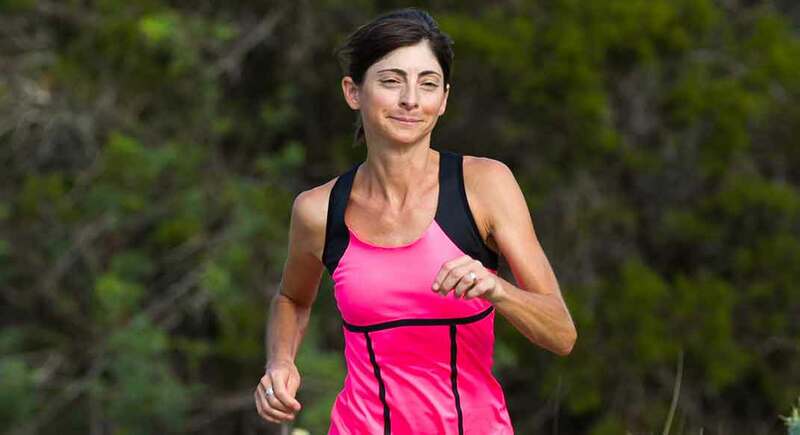 When she moved to San Antonio in 2005, she became friends with people in the ultrarunning community, and joined one friend for a long run in the Grand Canyon. “My friends were setting big goals for themselves. So I did too,” she says. In 2008, at the age of 38, she went for her first ultra, the Zane Grey 50K, and finished third. That same year she finished third in the Sunmart Texas Trails 50 Miler. The following year, she had her second child. Two months later, she ran Bandera again, where she stopped to nurse twice, took a nap and still managed to place second. That same year, she set a 15:07 PR at the Umstead 100 Miler, which remains one of the fastest 100-mile times run by a female. She was still nursing. 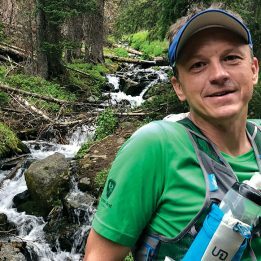 Prior to kids and professional running, Howard’s life was full as a wilderness-medicine educator and instructor for the National Outdoor Leadership School. Now she does it all. 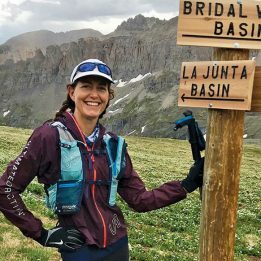 In addition to being an instructor, professional athlete and mom, she is an online running coach and hosts trail-running camps for veterans and Gold Star families. Training as a fully employed mom involves a lot of compromise and treadmill miles. 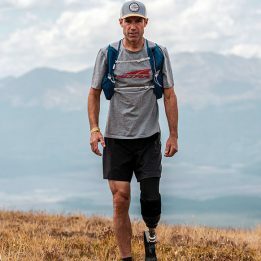 Howard once logged a 40-mile treadmill run while training for the Umstead 100. She decided to make peace with trying her hardest on the trails and accepting whatever results came her way. Howard’s biggest concern leading into the USATF 50-mile Championships was her asthma. She developed asthma in 2013, and slowly, since then, her symptoms have gotten worse. Last year at Virginia’s JFK 50, she wound up lying on the side of the road under a pile of leaves, out of breath and exhausted. She began working with a pulmonologist and asthma specialist, yet she still has symptoms. Come race day, though, she was pleasantly surprised to find herself running “at a pretty good clip” without any breathing trouble. She averaged 8:10 miles until mile 20, where a hill slowed her down. She gained the lead at mile 36 and by mile 40, second place was 10 minutes behind. Feeling slightly better, she gutted it out to the finish line, coming in 7 hours 7 minutes and 48 seconds. Howard used to dislike the fact that the USATF bibs display runners’ ages. Now, she wears her bib with pride.